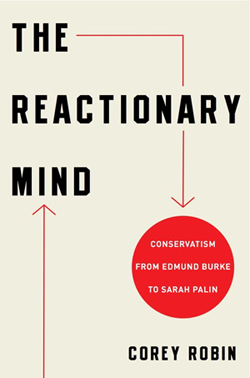 Corey Robin's new book "The Reactionary Mind: Conservatism from Edmund Burke to Sarah Palin" traces the history of conservatism from a "counter-revolutionary" force during the French Revolution up until the current disarray in the American Republican party. 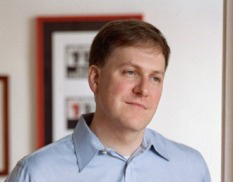 Corey Robin teaches political science at Brooklyn College and the CUNY Graduate Center. He is the author of The Reactionary Mind: Conservatism from Edmund Burke to Sarah Palin and the award-winning Fear: The History of a Political Idea. His articles have appeared in the New York Times, Harper’s, the London Review of Books, and elsewhere. He blogs at coreyrobin.com. The publication of your book has been perfectly timed with the Republican party in the throes of an identity crisis. What is happening in the Republican Party? The Conservative movement is in decline. This is the first time in recent history that the GOP has not been able to line up behind a front runner (at least that was the case until the last few weeks; it seems like things could be sorting themselves out fairly soon). The fact that the party is cycling through different candidates in the hope of an alternative to Romney shows that nobody is really in charge over there. When did this decline begin? My read on the Republican Party is that it reached its apex under George W. Bush, in the same way that the modern Democratic Party reached its highest point under Lyndon B. Johnson. It is at moments like these, when political parties exercise fully authorised power and reach their peak, that they begin to sow the seeds of their own decline. This happened to the Republicans after 9/11 and to the Democrats after Johnson’s landslide victory in 1964. Political parties at their peak find themselves in a situation where they are making and extending commitments that they cannot sustain. Conservatism, under Bush, committed itself to imperial warfare and to defunding government, creating a collision course that has led us to where we are today. Conservatism is working out the contradictions generated by its own recent unchecked success and it is slowly unravelling. Where does the Tea Party fit in to this? I read the Tea party in a different way than most people. Rather than seeing it as a conservative success, I see it as a conservatism that’s in decline The only question in my mind is: “How long is the Tea Party’s shelf life?” I still don’t know the answer to that. Could it be that the more serious and establishment candidates are waiting for a better opportunity in 2016? I see it as a more long-term issue. I don’t think this is a question of the next electoral cycle. I think for the next 4 to16 years you are going to see the Republican Party in a downward spiral. It might be able to recoup temporarily, in the same way that the Democratic Party was able to recoup temporarily in 1976 with Jimmy Carter, but I think this distinction between establishment candidates and fringe candidates is just a winnowing out, because the political context that enabled presidents like Reagan and George W. Bush to massage the distinctions has been lost. The environment will be different in four years time, as there won’t be an incumbent, but it will still be the same party wrestling with the same problems. I think the party will eventually be repudiated and will have to reconstitute itself. 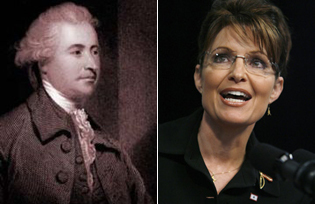 You trace the roots of conservatism back to Edmund Burke and Thomas Hobbes. Is there an unbroken thread in conservatism that has survived through history? Is there a link between Edmund Burke and Newt Gingrich for example? Yes there is. The thread does break periodically but it reappears. I read a lot of modern political history and I see the struggle of the subordinate classes repeatedly trying to extend the claims of freedom and equality to include themselves. You see this with the French Revolution, the Abolitionist Movement, the Labour Movement in the late 19th century, the Women’s and Civil Rights movements. It is at moments like these with the subordinate classes playing an active role and making specific claims for emancipation that conservatism reawakens as it did between the 1930s and 1950s in response to the New Deal. At these crucial moments conservatism has managed to push many of these movements back and at times defeat them, particularly in the case of the labour movement and the welfare state, but now it is unclear exactly what conservatism’s mission is. They are trying to make a mission out of Obama the “Kenyan Muslim Socialist” but it rings hollow, even to them; that’s why the party is so undisciplined and fragmented now: there’s no real Left that can force it to get its act together. It won’t be until you have another insurgent movement again making fundamental claims for reordering society that you will see the conservative movement reawaken, in the way that Burke was awakened by the French revolution. Does Conservatism actually have an ideology? What is conservative utopia? Just an absence of government? Conservatism does have an ideology: it is a commitment to a society where higher beings preside over lower beings. Conservatives are convinced that there are some people who are better than others, more excellent, more talented and more virtuous. Conservative Utopia looks for excellence, beauty and virtue, but that vision is periodically challenged and toppled and then they have to reinvent conservatism. This story of constant reinvention is the one I am trying to tell in my book. Conservatism is dynamic. In a right wing utopia there are higher beings, but they are constantly being challenged and renewed and contested. This renewal can come through warfare, a challenge from the Left, making it a counter-revolutionary battlefield, or even the market place, which the Right eventually realised could also become a battlefield in its own right. The conservative distrust of big government – and at times just plain government – might suggest an element of anarchism in conservative thinking. Is there a link there? We have to be careful here. I don’t see that as the animating core of conservatism either historically or in the present. In reality conservatives are in favour of a very intrusive government – they have a commitment to warfare which has been one of the main engines of big government. There is a commitment to propping up the power of owners and employers, fathers and husbands and they use government to do that. I don’t think the issue is one of government versus no government, but what the purpose of government is. I think the anarchism moniker is wrong because conservatives are very much committed to what I call private forms of government, like the power of the employer and the power of the father. I think that is the real issue: the question is: “What is the purpose of the state and where do you want governance to lie?”. Listening to conservative rhetoric it sounds like what they hold dear is under attack and that they are fighting a rear-guard action. They feel excluded and victimised. Secondly, conservatism is a modern political praxis and theory, operating in a modern context, which is very different from the medieval world of Europe. Hierarchies no longer have the theological and cosmological support that they had, so conservatism has to figure out a way of talking about privilege that is palatable and intelligible to the masses. It has multiple ways of doing that, but one in particular is to talk about itself as a victim. This goes back to Edmund Burke in his Reflections on the Revolution in France. One of the longest sections in the book is a description of Marie Antoinette being abducted by the mob and marched with her family from Versailles to Paris. Scholars have often asked themselves why he dedicated so much of the book to this one event. My view is that she is the pre-eminent victim, and in being a victim she becomes an object of universal identification. This is something that people of the lowest orders can identify with. It is hard for them to identify with someone who is regal and all-powerful, but if the person has been divested of that power, he or she becomes a claimant on our affections. You have a chapter about Ayn Rand, the darling of the Right, but she comes across as a case of political and emotional arrested development. The reason why Ayn Rand is an interesting figure and not just a joke is that she was someone who was extraordinarily influential – she was one of the most significant right-wing intellectuals in terms of attracting people to the movement. Her primary claim is that society is divided between higher and lesser beings, where higher beings should preside. This is a very Nietzschean claim but unlike Nietzsche, Ayn Rand herself as a writer and a thinker was an abject mediocrity and self-evidently so – this is the paradox. Here is someone who is talking about higher and lesser beings, but who on any measure that she would endorse does not fall into the “higher being” category. Her shamelessness is sort of fascinating. Is the Right vs Left battle a fight between the Enlightenment and the counter-Enlightenment, or more crudely the uneducated vs the educated? I don’t think so. For example, Edmund Burke was a man of the Enlightenment and so are many conservatives such as Robert Nozick, the libertarian who works within a Kantian tradition, so I think it is a mistake to say it is a battle between the Enlightenment and the counter-Enlightenment although there are many counter-Enlightenment thinkers on the Right. Equally it is a mistake to pit the educated versus the uneducated. To say that the Left is educated and the Right is uneducated is to really misunderstand the problem. At what point did religion become such an integral part of conservatism? You mention for example that Ayn Rand was an atheist. Going back to the French Revolution, part of the battle was related to religion, particularly organised state religion. The French revolutionaries dispossessed the Church of its properties because the French state represented the nesting of religion and politics, so it is an old battle, but it is not always a clear-cut one. For example in the battle over Abolition, the strongest force against slavery was Christianity, and certain of the slaveholders actually dispensed with Christianity as an argument as it did not suit their ends. In my book I explain that the most far-reaching thinkers on the right, Joseph de Maistre and Nietzsche began to suspect that there was something about religion – for de Maistre it was Protestantism and for Nietzsche it was Judeo-Christianity – that laid the groundwork for modern egalitarian claims. This reaches its high point with Nietzsche, who traces a link from Judaism to Christianity to democracy to socialism: He was convinced that if we are going to confront Socialism we have to attack it at its roots. I should add that he was critical of religion for many reasons and this was just one of them. Ayn Rand said that Christianity was the greatest kindergarten of Communism ever invented. There is a strain on the Right that recognises this Christianity/Communism link, but it is in competition with a different strain which sees religion as a prop to the social order. On a more philosophical level you describe conservatism as a fear of moral decadence and dissipation. Once again this takes us back to Burke who was worried that the ruling classes had grown weak, decadent and flabby, thus paving the way for the French Revolution. This was the case of the Old South as well. Many felt that the slave owners and the ruling classes had become too attached to their position of privilege. This is a long-standing strain in conservatism throughout history and fascism is in many ways a triumph of this line of thinking. More recently you can see this in the United States in neo-conservative thinking which found the answer to this decadence in embracing warfare which they feel acts as a counter to that softening. I was struck by this in many of the arguments over the war in Iraq and in the “War on Terror”; there was an embracing of imperial warfare as a way of rejuvenating the ruling class which many neo-conservatives thought had really gone soft after the end of the Cold War. Were the Neo-Cons and the 9/11 experience a departure from real conservatism? Has there been a split in conservatism? I don’t think so and this may be one of the more controversial arguments in the book. There is a strain of conservatives who claim that the Neo-conservatives took everything off the rails as they were not true Burkean traditionalists, but I try to show that Burke himself was not that much of a traditionalist. I try and show that the neo-conservatives are actually the fulfilment of the Burkean tradition and not a betrayal of it.